Depending on the course you are about to play with and the skills you have, golfing can either be a difficult and strenuous sport or a fun, exciting and a relaxing one. Thanks to Jack Nicklaus, an accomplished professional golfer and respected golf course designer, Breckenridge Golf Club provides you the golf course anybody can enjoy. With a 27-hole golf course, you’ll be able to sharpen up your golf skills while having fun at that. You can also register for golf instructions to help you with your game. Who knows, in a year or two, you could be winning tournaments. At Breckenridge Golf Club, you don’t only get to play the fun and relaxing sport of Golf but you’ll be surrounded with an eyeful of majestic views of the landscapes and mountains. Enjoy the greenery of Breckenridge Golf Club with the family. Around the place, a plethora of fun activities awaits you. So much to do yet so little time to do it, you might want to extend your vacation if you plan on partaking with the activities like biking, hiking, fishing, kayaking and a whole lot more because a day isn’t just enough. Grab your clubs, pack your bags, and call us now for a round of golf at Breckenridge Golf Club! 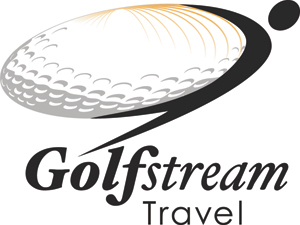 Golf Stream Travel will help you plan your trip to Town of Breckenridge.